VII.13 Herculaneum, September 2015. Doorway on west side of Cardo III Superiore. 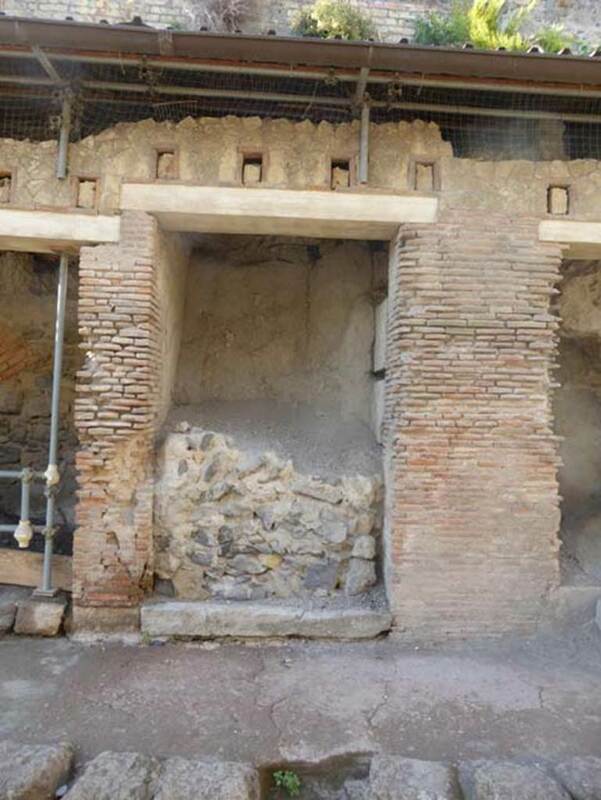 VII.13, centre left, Herculaneum. September 2015. Looking west towards doorways. VII.14, on right. 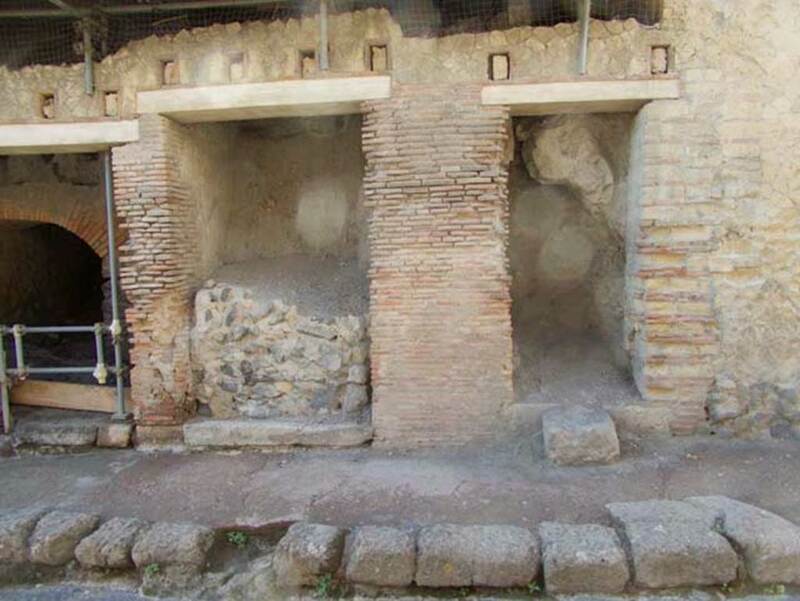 VII.13, on left, VII.14 in centre, and VII.15, on right, Herculaneum. October 2014. 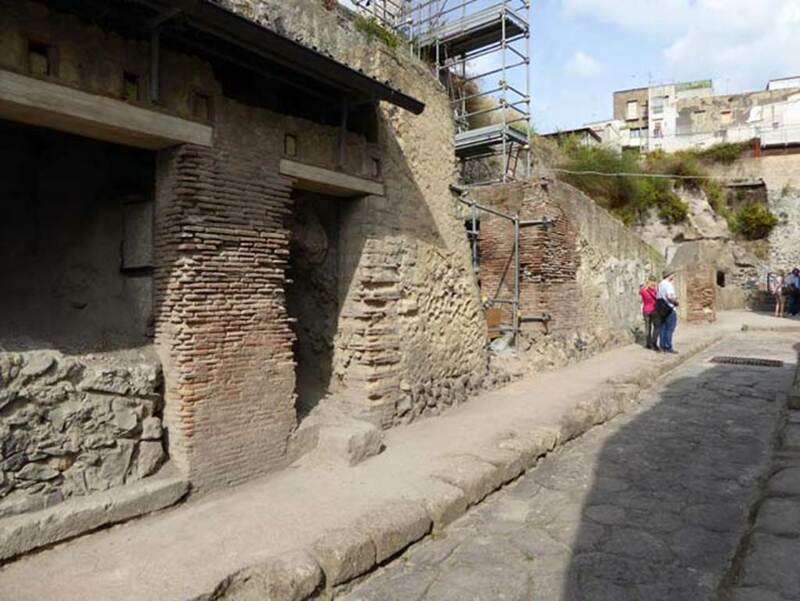 Doorways on west side of Cardo III Superiore. Photo courtesy of Michael Binns.